We've been discussing Instagram a lot lately, both for the impressive reach of the photographic social media giant and how it has transformed casual photography, but also because of the profound impact that it's had on the art world in general. In today's Artist Spotlight, we're going to look at the work of Argentina-born artist Amalia Ulman, who some are already crowning the creator of the first true masterpiece of Instagram. It's quite remarkable how quickly Instagram (and, to be fair, other social media) has worked its way into every aspect of people's lives, often to such an extent that subjects typically reserved for close family and friends suddenly get smeared across the internet for the eager public to gobble up. So when Ulman's Instagram feed appeared following her apparent move to Los Angeles, she blended right into the gestalt of modern life. Covering every aspect of her life, she attracted thousands of followers who kept a close eye on her trials, triumphs and messy recoveries. Unbeknownst to her legions of followers, however, the entire life she had constructed online was a complete and utter fabrication. Ulman turned the best photos from her constructed life into an exhibit entitled "Excellences and Perfections", which is currently on display in the Whitechapel Gallery in London. It was so successful that it will also be included in a multi-artist exhibit at the Tate Modern, collectively titlted "Performing for the Camera". Speaking with Interview magazine, Ulman discussed the reactions to her work: “With Excellences and Perfections, people got so mad at me for using fiction. That was the main critique: ‘It wasn’t the truth? How dare you! You lied to people!’ Well, that’s because you should learn that everyone is lying online. I’m not the first one! “There are so many girls that go to hotels to take a better selfie, or another expensive place. If they’re trying to be a social climber or whatever, that’s what they do. It’s normal. It’s becoming more and more normal to be conscious of those things. It’s funny how people still take it with this value of truth." WIth that kind of hilarious yet extremely poignant sendup, it's no wonder that Ulman is on Forbes magazine's latest edition of the 30 under 30 list, a yearly look at up and coming entrepreneurs, artists, and disruptors under the age of 30. Expect more great things from her, whether or not Excellences and Perfections goes down in history or not. When you think about a gallery, you probably don't immediately think about taking photographs. Many of us have grown up in a world where photography was generally prohibited in galleries museums, largely because of the nature of flash photography and the need to protect the works from the damaging impacts of hundreds of thousands of strobe flashes every year. This has shifted of late thanks to the rise of the cellphone camera and their excellent low-light abilities, removing the need for a flash to capture the scene. The clever curators at the Renwick Gallery, which has just recently re-opened after an extended absence, decided to take advantage of this by filling the gallery with signs that say 'Photography Encouraged'. This has led to a surprising prevalence of smartphones throughout the gallery, and by extension the digital world is now filled with photos of the latest exhibits. Over 20,000 images have been uploaded to Instagram with the hashtag #RenwickGallery, which perhaps is no surprise considering the impressive number of visitors the museum has had in the first six weeks since it reopened. Over 176,000 people have passed through the doors in those weeks, which is truly incredible considering the average visitor count for the entire year was only 150,000 before it closed down. But this seems more like an indictment of the modern method of interacting with content, a reflection of a world where there is literally so much to be considered, it should be no surprise that what impacts one person won't impact another in the same way. “It’s like this new first-person narrative of the museum experience. I’m fascinated.” You're not the only one, Nicholas, so cheers for being open to the evolving nature of narratives in a technological world. 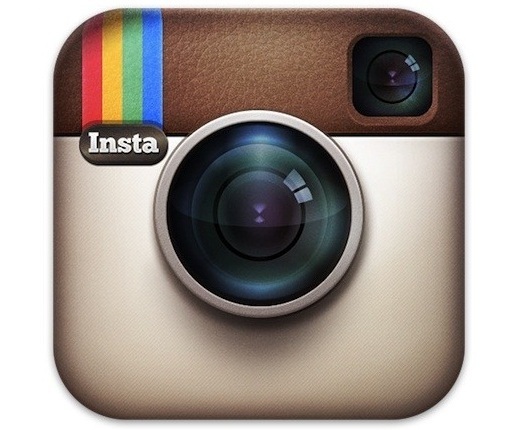 Perhaps the most popular image sharing application on the planet, Instagram has taken the world by storm. With over 400 million users around the world, and over 30 billion photos shared as of September 2015 (yes, that's billion with a b), it's impossible to deny the popularity of the app. Most serious photographers have scoffed at the usage of Instagram, probably driven by the nauseating filters that were the hallmark of the app at the beginning of its tenure as an internet fixture. Since those vintage days, Instagram has matured incredibly and has even been at the center of a massive copyright scandal involving artist Richard Prince. Many people don't regard the photos posted to Instagram as art, but yet when Prince took a series of images from random Instagram feeds, enlarged them, and published them as his own work, all of them sold for an estimate $100,000 apiece. Due to some complex legal trickery, this procedure apparently constitutes a derivative work, and therefore is protected speech in the United States and thus no legal challenges can be successfully made to stop him. If people are willing to treat Prince's "derivative versions" of Instagram photos as art, does it not then logically follow that the originals themselves have artistic merit as well? Or is the controversy surrounding his work what gives it artistic value to the collector? The provenance of a work often increases its value to collectors, but it doesn't usually create it from the start. One of the strangest elements about Instagram is its role as a social media magnet. Not just about photographs exactly, there is an entire community built up which has the power to make and break careers. Instagram celebrities hardly seem like a real thing, but some people - typically women, and typically attractive women at that - have built up such loyal followings that they actually get paid for photographs showcasing certain products despite having no traditional modeling experience. Do their photographs count as art? What if they haven't been paid? The traditionally defined lines between the art world and popular photography are becoming more and more blurred, but it's hard to form an opinion about whether or not this is a bad thing. Instead of a closed world, perhaps it's about time that the art world developed its own meritocracy, instead of having gallery and collector kingmakers decide who succeeds and who doesn't. Friday 05th June 2015Derivative or Theft? The art world can be a tricky place to navigate sometimes, especially in the digital era. Thanks to landmark copyright cases about song rights and the legality of remixes, the nature of the legality of other forms of derivative artwork is often called into question - sometimes more legitimately than others. 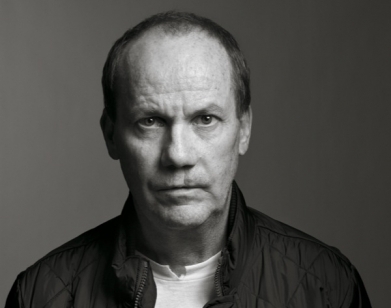 You may have heard the name Richard Prince in the news lately, or perhaps much longer ago. He's made a name for himself by appropriating the artwork of others and reselling it as his own, with the legal-grey-area claim that he has modified it and it's a derivative work of art. He's recently struck again, but this latest bout of appropriation is taking place in the age of the social media outcry, and things may not go as smoothly for Prince as they have in the past. His original claim to… ahem… fame, if it can so be called, is from the 1980s when he took photographs of Marlboro cigarette ads and sold the photos. His works raise serious questions about copyright law and copyright infringement, but in a previous lawsuit where he was sued by photographer Patrick Cariou, he was initially ruled against - but appealed, and won the suit. His latest exhibit, if it can really so be called, entitled "New Portraits", is actually a series of photographs taken from various Instagram feeds, enlarged, and resold. The entirety of the modification he made to the image was enlargement. This makes it easy to understand why one of the women in his photos is extremely angry about the situation, and wants a cut of the sale price of her photo - which sold for a whopping $90,000 USD at the Freize Art Fair. All but one of the photos Prince appropriated were sold, and Anna Collins wants some answers. Hopefully, as public awareness of Prince's quote-unquote artwork grows, he will be forced to come to terms with the work of the photographers he resold. Imagine how the music industry would react if people took legally purchased songs, increased the volume slightly, and resold them as their own work? The outcry would be immediate and those responsible would be so inundated with lawsuits they'd never see the light of day again.